Joshua Kimmich has revealed what was said when former Bayern Munich coach Pep Guardiola famously gave him an on-field dressing down following the side's Klassiker clash with Borussia Dortmund in March 2016. 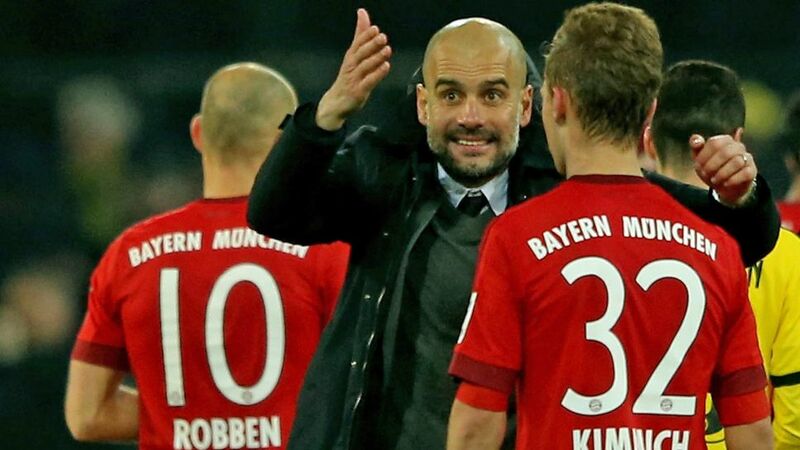 In one of the most memorable snapshots of Guardiola's tenure in Munich, the Spanish tactician darted onto the pitch as soon as the final whistle was blown on the 0-0 draw at the Signal Iduna Park, and was seen animatedly gesticulating and talking to Kimmich. Speaking in an interview with The Guardian, Kimmich explained further: “I played at centre-back and five minutes before the end Xabi Alonso went out and Medhi Benatia came in. Benatia went into my position in defence and I took Xabi’s place in midfield. But I was still thinking like a centre-back. I was playing too deep and Medhi and I were nearly in the same position. The transfer has since proved to be an unqualified success, however, with Kimmich - approaching 100 Bundesliga appearances and capped 36 times at senior international level - one of the first names on the Bayern and Germany teamsheets.